I don’t make many New Year’s resolution because I have a long history of not keeping them. Sometimes I write down goals but mostly I lose the papers that contain those goals and aspirations. So, this year I’m going to create a sort of bullet journal to keep track of my to-do lists, important dates, memorable moments, favorite Scriptures, gift idea list, books I’ve read, blog ideas list, and inspirational quotes. My goal is actually to be flexible while trying to find a system of keeping all of my thoughts in one place (rather than the multitude of brightly colored sticky notes in adorable shapes that I lose on a regular basis). Those will be written in the very front of my new journal so I don’t lose sight of them. 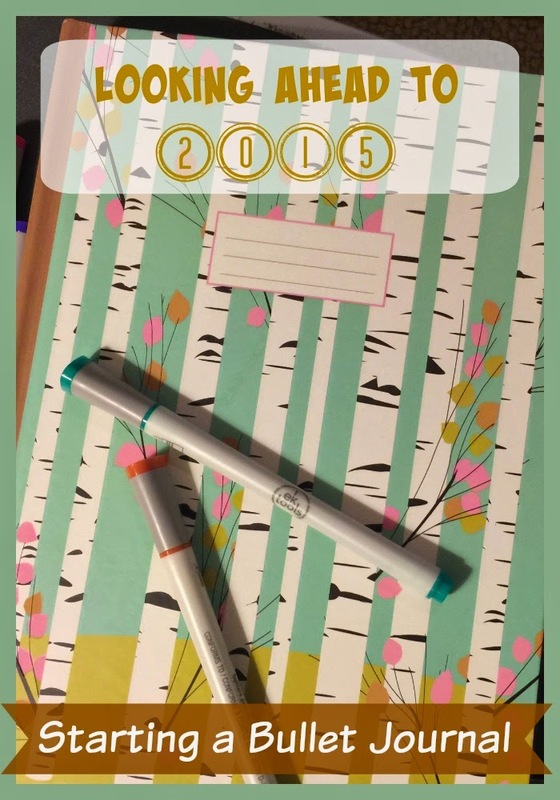 Do you keep a bullet journal or any other type of journal? Here are some good posts about the different types of bullet journals and how to create one that works for you. (And for the record – mine is a book with lines, not grids, as I think the boxes might make me a little crazy. Also, mine is super simple at this point). I came across this several months ago. I I pushed the idea aside but it would come to mind every so often when I would get frazzled about my crazy schedule or trying to recall an idea I had that I never wrote down. Since we're starting a new year and I am really mad I forgot to write down another idea for a novel, I found a barely used notebook and started my bullet journal today. Your post really pushed me over the edge to do it because when I saw the post I knew that I just needed to try it out. Thanks for the inspiration to finally do something I knew I needed to do.